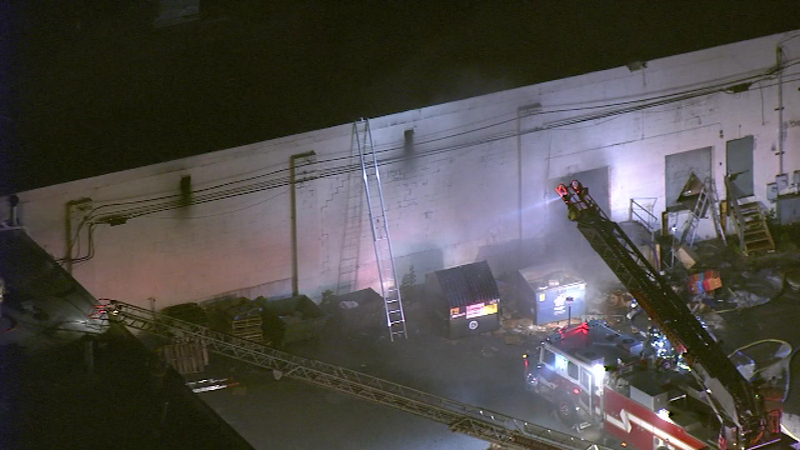 Firefighters battle a multi-alarm fire in Folcroft, Delaware County. 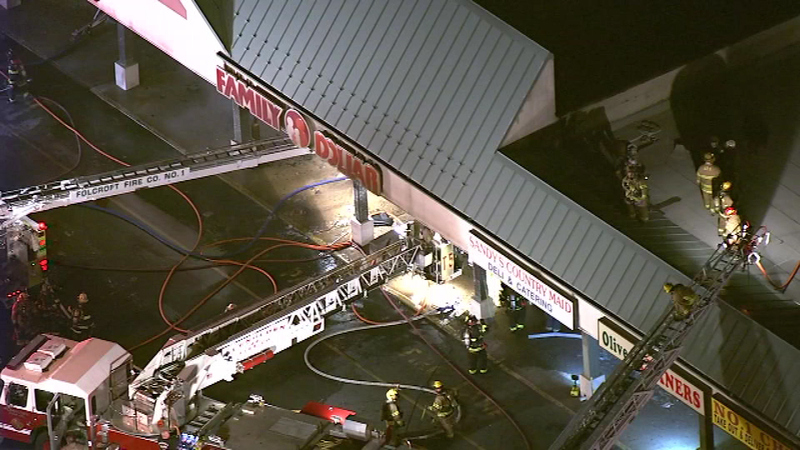 FOLCROFT, Pa. (WPVI) -- A firefighter was injured battling a three-alarm fire at a Folcroft, Delaware County Family Dollar store. 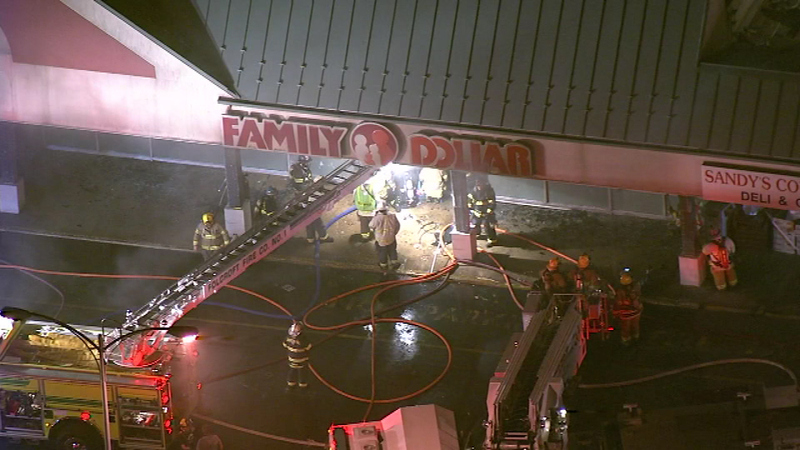 The fire started shortly before 9 p.m. Monday at the store on the 1800 block of Delmar Drive. Firefighters arrived to heavy fire and thick black smoke pouring from the store. 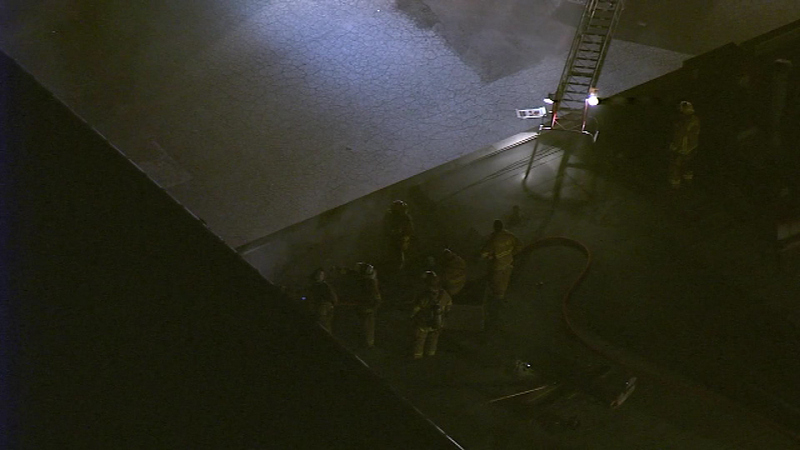 A firefighter was injured battling a fire in Folcroft, Delaware County. They immediately upgraded the fire to two alarms. 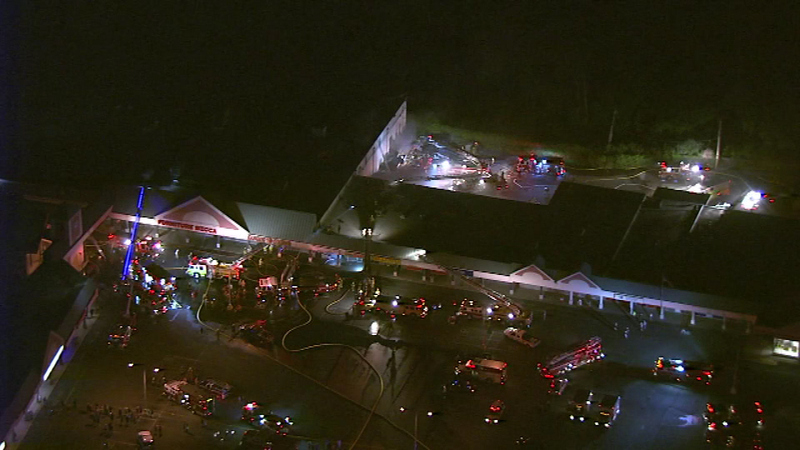 A third alarm was struck around 9:25 p.m. 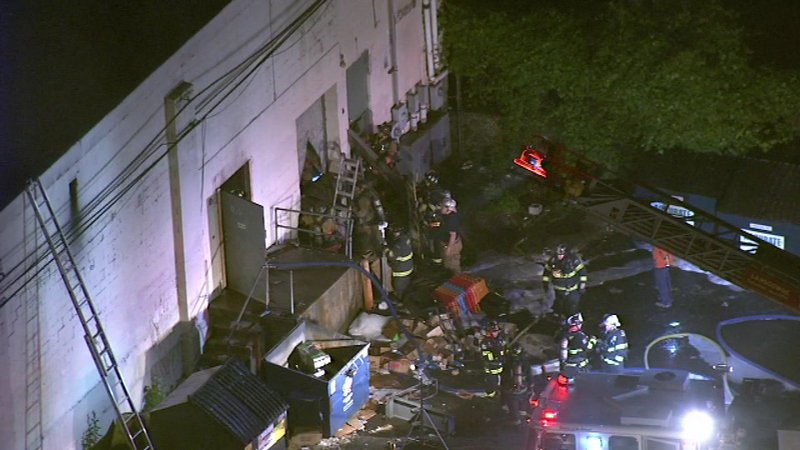 The blaze was finally placed under control at 11:30 p.m.
Action News is told a firefighter was injured and taken to Crozer Chester Medical Center. 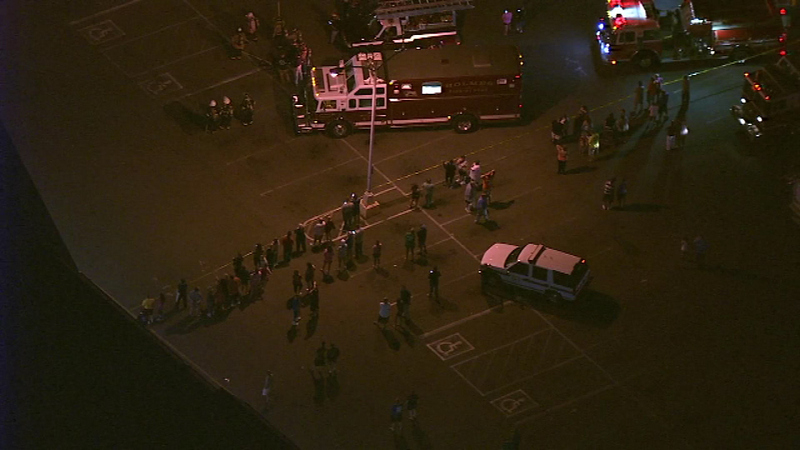 There was no word on the extent of the firefighter's injuries.